These brief stories highlight how our partners are implementing innovative programs to create lasting, meaningful change. 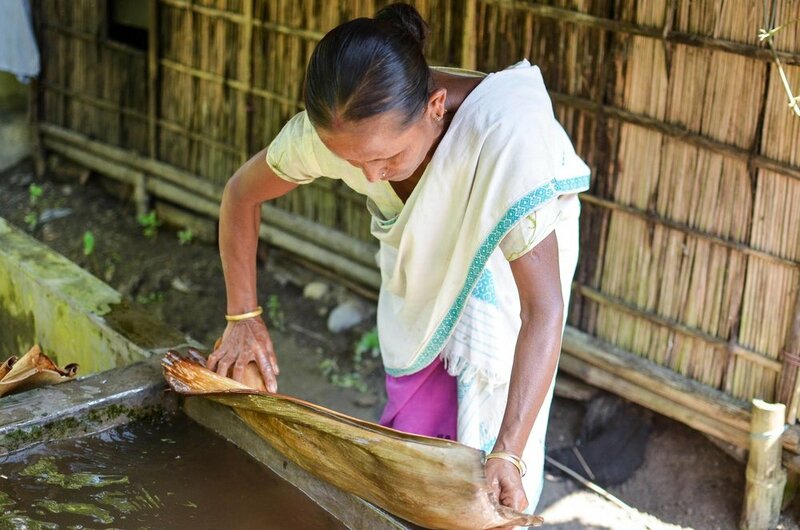 Tamul Plates generates livelihoods in rural parts of Northeast India by producing and marketing biodegradable plates and bowls made from arecanut (palm) tree leaves. The company produces dinnerware through a network of affiliates across the tribal regions of Northeast India, ensuring that each affiliate has the skills and machinery needed to produce superior-quality arecanut products. Recognizing the strong work being done by Tamul Plates in the region, Upaya Social Ventures decided in November 2013 to extend financial and technical support to accelerate Tamul Plates’ expansion. Upaya’s mission is to create dignified, sustainable jobs for the poorest of the poor in order to lift them out of extreme poverty for good. Upaya raises philanthropic dollars and puts them to work as investment capital into early-stage enterprises that employ the poorest of the poor, like Tamul Plates. This is how Upaya is able to penetrate highly marginalized communities and environments where traditional investment capital fears to tread. Over the last eight years, Tamul Plates has created 350 jobs and works with approximately 2,500 suppliers, creating livelihoods and generating income for families in one of the poorest, most difficult to reach regions of the country. While Tamul Plates has experienced ups and downs as an early-stage company, they have maintained a dedicated focus on creating lasting livelihoods. They continue to put effort into training more women to give them greater autonomy and earning power. In 2018, they are expanding into new regions and designs, taking advantage of India’s growing demand for eco-friendly biodegradable products. 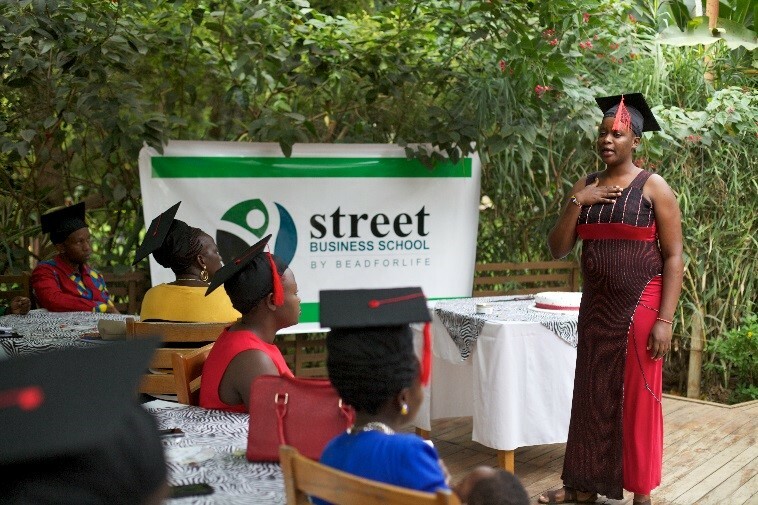 Street Business School (SBS) helps women lift themselves and their families permanently out of poverty. The program teaches entrepreneurship through a six-month mobile classroom that provides women the business skills and self-confidence to start their own business. On average, women increase their income by 211 percent from $1.35 per day to $4.19 per day. This change results in life-changing opportunities such as access to education, healthcare, consistent meals and safe housing. SBS is currently expanding globally with a goal to reach 1 million women by 2027. The organization is scaling through a social franchise model in which other organizations known as Global Catalyst Partners (GCPs) pay and receive training to become “franchisees” of SBS. The program was founded in Uganda and is now in ten countries throughout Africa. Kesho Kenya became a GCP in September, 2016 and brought SBS to Kilifi within weeks of graduating the training. The demand to become an entrepreneur in Kilifi was so high that Kesho Kenya had to double its efforts and launch a second classroom shortly after its inaugural class began. Thanks to SBS’ effectiveness and Kesho Kenya’s leadership in the community, demand to go through the SBS training became overwhelming. In March, 2018, Kesho sent two more staff to the SBS training to add to their team of certified trainers in Kilifi. Who were these two staffers? They were graduates of Kesho’s inaugural class. These now confident women who were once living in poverty, graduated in early 2017, started businesses, and experienced inspiring economic and personal change. Today, they have become the newest team members of Kesho. Newest member of the Kesho Kenya team, Elizabeth, sharing how she was living in poverty, became an SBS graduate and now gets to bring SBS to women like her.